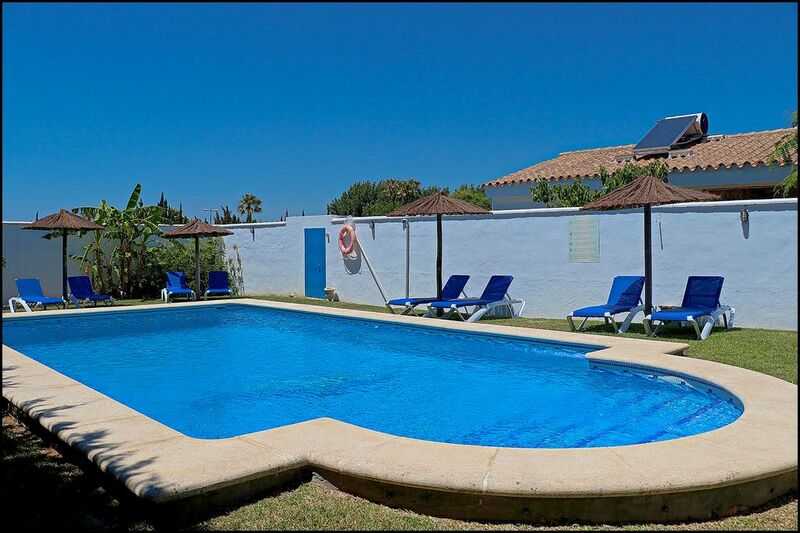 Brand-new bungalow situated in a complex along with four other bungalows, in Conil de la Frontera (Cádiz). The property has a maximum capacity for four people, it contains one bedroom, one bathroom and a lounge-diner. Inside the complex the communal areas included a large pool equipped with parasols and sun loungers, and surrounded by a spacious garden. There is private parking for the car. Each bungalow has its own private covered porch, barbecue and artificial lawn area. There is a free Wi-Fi connection. The complex is located just two minutes drive from Conil de la Frontera, and is very close to camping la Rosaleda. From this location it is easy to get to various beaches in the area, such as Cala de Aceite, Cala de Puntalejo, and the beaches of Roche and La Fontanilla, all of which are under six minutes away by car. In this area you can enjoy the peace and quiet and a wonderful family holiday.